More horse owners are turning to the web to research horse adoption and ownership. Our horse information website is browsed and revisited by thousands of horse owners each day because of the quality horse related content we offer. We are always looking for new ways to benefit the horse community and help horse owners seeking horse-related information. We were inspired by all of the great work various horse rescue and adoption groups do, that we wanted to create a "Horse Adoption & Rescue Research Center" to help horse owners find your local adoption groups easier. We are welcoming all interested non-profit horse adoption and rescue groups to participate in our newest online resource that we call the “Horse Adoption & Rescue Research Center.” Our research center will allow each group to submit a full page of descriptive content, contact information and a photo to be published on our site. Horse adoption group content pages will be organized by state and city to help the local horse owners in your area that visit our site or perhaps search through a search engine, find your facility quickly and easily. 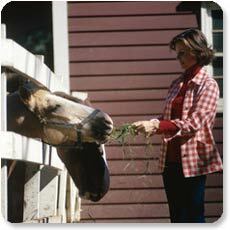 Get exposure to thousands of horse owners who may be seeking to adopt a horse. Groups will be organized by state, county and city to help local horse owners find you quickly and easily online. 100% free way to promote your groups services to your target market. Connect with individuals who may want to donate funds or volunteer tier time to help your group. Be part of a trusted Horse Information site that horse owners already flock to. We make it simple to put together a informative, descriptive group content page by asking 10 simple questions. No need to be "web savvy." We deal with all the online technicalities of uploading, maintaining and marketing of your group's content page. Absolutely nothing! This is our way of giving back to the horse community who has lovingly supported our site for many years. Any horse or burro adoption and/or rescue groups are welcome. Offer horse adoption and rescue services in at least one specific location where local horse owners can contact or visit you. You must provide at least one way for local horse owners to contact you directly (i.e. phone, email, website or preferably all three). When filling out our horse rescue & adoption group questionnaire, you MUST submit ONLY unique, originally-worded content that is not found anywhere else online – this includes your own website. After you have submitted your unique, originally-worded content to our resource, you cannot give this exact same wording to any other online resource, including your own website. We will have you fill out this online form about your horse adoption/rescue group. This form includes basic information about your location, how to contact you, and 10 simple questions about your groups's efforts. If you prefer to submit your own custom content, rather than answering our questions, you can email us at . Once we receive your group's information, we will have the content you submitted will be added to the site on a first come, first serve basis. Once live on our site, we will email you a link to your page to review. If you would like to make any corrections, simply reply to our email with your corrections. You can email us changes to your horse rescue/adoption group page up to once a month to ensure that your page stays current. That is no problem at all . . . You can reach me, , or one of my staff members at . 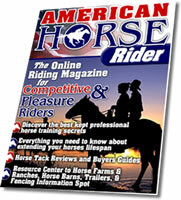 Have your horse products or services exposed to over 95,000 of our monthly visitors.